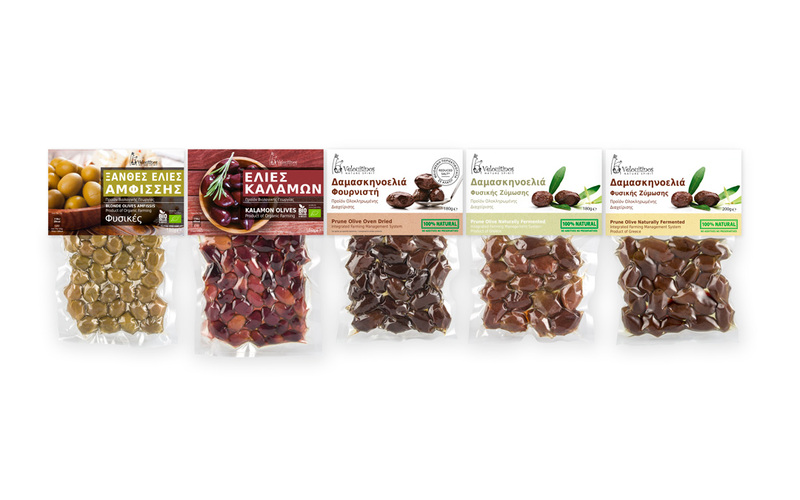 We designed the new Velouitinos packages for all our olives. 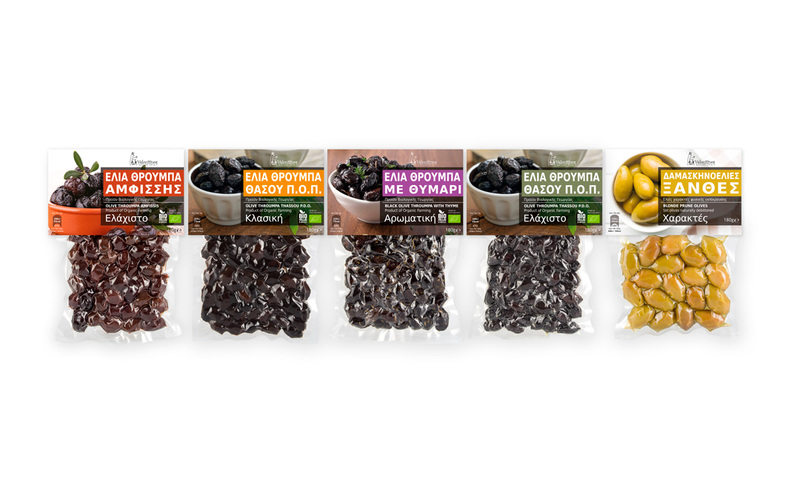 The new packages are easily recognized, large capital letters denote the olive’s name and each variety of olives is color coded. The back side of the label contains all the information about the product, ingredients, nutritional value and instructions in 4 languages (Greek, English, German, French). Packed in modified atmosphere without added preservatives.